You can seriously boost the curb appeal of your home by installing a brand-new front door. 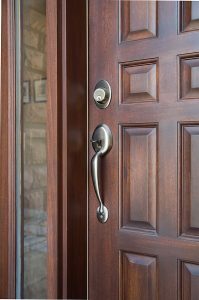 Even better, a new entry door can improve the security and energy efficiency of your residence, making it an all-around smart investment. At Majors Home Improvement, we complete flawless door replacement projects for our customers in Destin, Florida, and all surrounding cities, and we’ll be happy to do the same for you. We are a locally owned and operated home improvement company that was founded in 1997 and has earned numerous accolades for our top-notch service, including an A+ rating with the Better Business Bureau. When you turn to Majors for a door replacement at your home in Destin, FL, you can count on individualized customer service that ensures you never feel like just another customer shuffled through an impersonal home improvement experience. We will provide constant updates about your project, walk you through the entire process, and bend over backwards to meet your needs, whatever they may be. If you’d like to learn more about the entry doors we install for customers in the Destin, FL, area, contact Majors Home Improvement today. Our knowledgeable associates will be happy to answer your questions and schedule a complimentary, no-pressure consultation at your convenience.